Summer is effectively over. Oh yes…I know — we technically have until September 21st or so and we do still have one trip left to take, but school started today, so summer is over. I’ve never been happy when the first day of school rolls around. Yes, I love summer and hate to say goodbye to it…especially since I did not make it to the beach once this summer. But it’s not really about that because my favorite season is really when summer begins to give way to fall and the days are still rather long with cool mornings and evenings and daytime highs that still reach the 80’s. The humidity starts to lesson and the position on the sun in the sky gives off a more golden hue. I love it — it doesn’t last long though and maybe that’s why I cherish it so much. Jake’s a September baby which makes for an interesting debate as Kindergarten approaches. In Washington state, the cut-off for Kindergarten is August 31st. But, if you are a September baby, you can test in. Jake’s always been smart — and yes, we talked about having him tested because we were certain that he would pass and be able to go to kindergarten. There was a big part of me, I admit — it was the prideful part, that wanted to do that. But, there was another part of me that didn’t want to let him go. As soon as anyone gave me a rational reason not to send him to school, I clung to it. It turns out that those rational reasons were the best advice I’d ever been given. The school principal told us that we needed to think way beyond kindergarten….and past elementary school. Where did I want him to be in middle school and high school? We already knew he was small for his age. We knew he wasn’t as socially advanced as many kids his age, no matter how many languages he could count to 20 in (yes, that is self deprecation you are reading there). That was terrific advice. Every year, I find myself thanking God that Jake isn’t going into ____ grade this year. He’s exactly where he should be. And, then my wonderful friend Shana said this: “Would you rather give him an extra year of childhood or an extra year of adulthood?”. That sealed the deal. It was the single best piece of advice I think I’ve ever been given. I’m not sure I’ve ever told her that….or thanked her. Hopefully, she reads this, but I will make a mental note to let her know personally. I took the year off work and Jake took the year off of preschool and we just had fun. People asked me at that time if I was home-schooling. I suppose in a way, I was….but it was just our life. It wasn’t easy. Anyone who has a precocious child knows that it can be exhausting. And, when you have an only child, you are their playmate. I wasn’t a great one, to be sure. And, some days, I was exasperated. I remember having to call my husband to come rescue me from Target because Jake was having the mother of all meltdowns and I just couldn’t deal with it one second longer. But, I wouldn’t change that year for anything. Looking back, it was that extra year of childhood that Shana had talked about. I had envisioned it being his senior year of high school….but I don’t think so (although I will be incredibly grateful not to be sending a 17 year old off to college). That year was a gift. I looked back at what I wrote on that first day of Kindergarten. He was full of nervous excitement. He was nearly 6 and SO ready to go to school. I held it together until I left him in his classroom and then cried all the way home. I noted that surely this would get easier. But it didn’t. Each year, it’s been just has heart-wrenching. Not sad — but definitely melancholy. I think there are a number of reasons why. For one, with the rough start that we had, it’s amazing that my baby even lived long enough to go to school. That sounds overly dramatic to say, but it is the truth. So each milestone leaves me feeling overwhelmed with gratitude. But secondly, and perhaps more significantly, is the fact that he’s an only child. I have commiserated with other moms of only children and we all feel it — we only have this one shot. Each milestone is the only milestone. A friend of mine said this week that she’s in year 7 of the 10 year carpool for elementary school. By the time she’s put 3 kids through elementary school, she’s D-O-N-E. Not that each child’s experience wasn’t special and significant, but it’s understandable that you get to a point when it is just time to move on. We rarely hit that fatigue point. We also don’t have much room to make mistakes. We make them….there is no question about it. But, what I mean is that we never have the opportunity to do things different next time. We also don’t get the luxury of past experience and to know when things just aren’t a big deal. This weekend we saw “The Odd Life of Timothy Green”. If you haven’t seen it, I will do my best not to spoil anything. It is a delightful movie about a boy who is not afraid to be himself and parents who want the best for him, but end up smothering him because they have no idea what they are doing. Of course there is more to the story, but the point is this: The discomfort I felt in watching the parents make terrible decisions while earnestly doing their best to make great decisions was painful. I related SO much to them. I related to their entire story on a lot of different levels, actually. In the end, it was all of their mis-steps that made them grow in ways they had no idea they needed to. I often think that, as parents, we end up learning more life skills than we actually teach our kids. 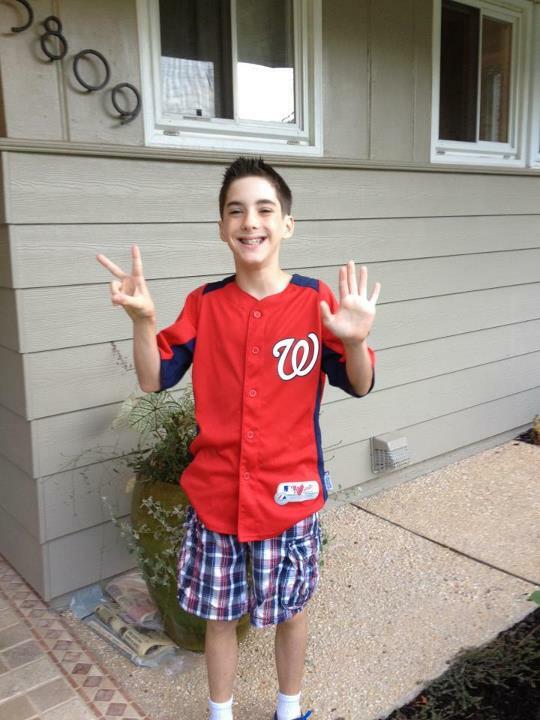 Jake started 7th grade today. I think I’ve been more anxious about it than any other year — probably because I am projecting my own experiences on to him. My life was in major upheaval in 7th grade and I went through a lot. Seeing that movie yesterday made me remember that he has his own story. My anxieties are not his anxieties. I need to just let him be who he is and not spend so much time worrying about if I am doing all the right things. And, as he walked down the street to the bus stop, I watched him with a sense of pride that wasn’t selfish (is that possible)? Rather, I’m just proud of who he is and how he carries himself and how he has such a big heart. I don’t take any credit for it. I just feel incredibly blessed that I get to be a part of it. 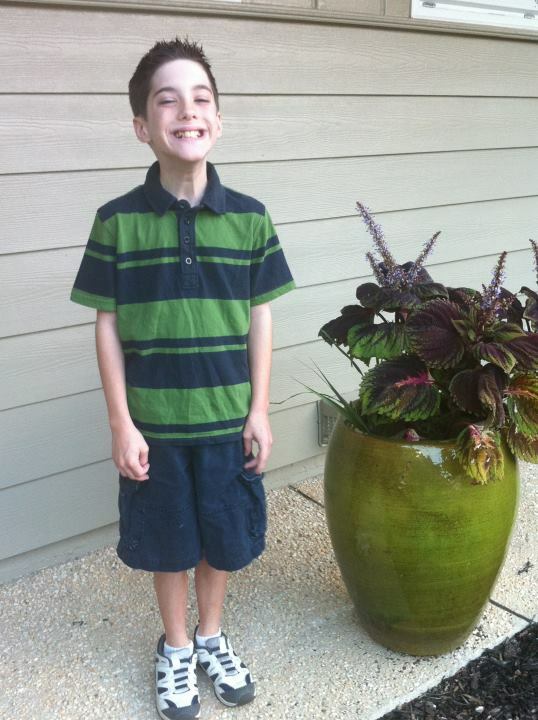 First day of school is Monday…Dear God, please keep and protect those kids with the courage to be themselves. Amen. A more heartfelt prayer could not have been expressed. I would humbly add that He keep and protect the parents of those kids as well.